Carrying on the past tradition of raising Hereford cattle on our farm, we've recently purchased 5 Hereford cattle. A 2016 heifer, two 2017 steers and two cows. 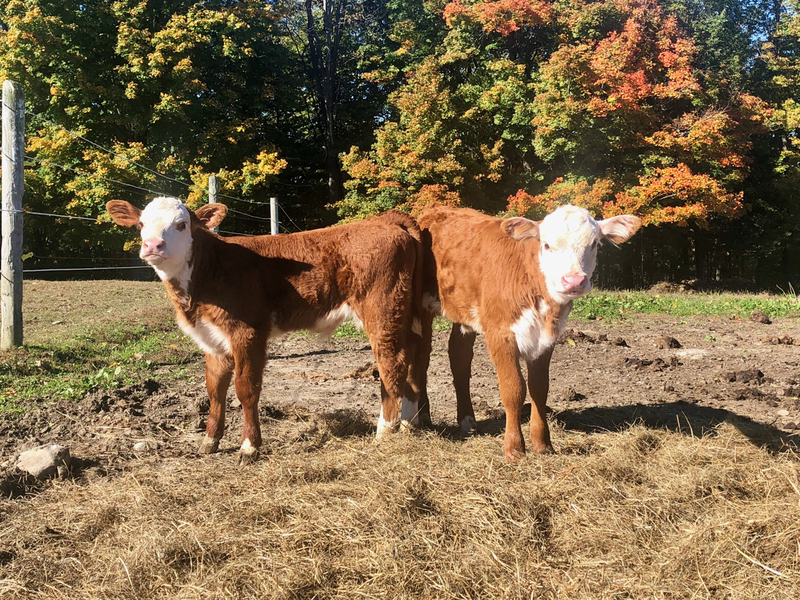 These cows gave birth to a heifer and bull in September 2018. We'll keep the heifer for our breeding stock. Our cows are grass fed and beef will be offered for sale late in 2019.